As demonstrated by the events of September 11, 2001, the United States is not immune to terrorism. In fact, since 1999, the Federal Emergency Management Agency (FEMA), has been working with both State and Local Emergency Management Agencies in developing plans of action to respond to just such an incident, should it occur. 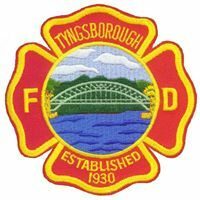 This message has been developed by the Tyngsborough Emergency Management Agency to explain to the citizens of this community what steps have been taken to this point in planning to respond in the event of any emergency. As you review this, please remember that our goal is to be ready in case an emergency happens. The purpose of this message is not to send out a warning of eminent danger, but rather to inform the citizens of Tyngsborough of their Emergency Management Agency and how it functions within the community. No one should feel they cannot go about their daily routines, or that they cannot leave their homes. The US Department of Justice, working with law enforcement at all levels of government, is working vigorously to identify potential threats and prevent them. We have all seen the development of new security measures to assure our safety while flying or at large gatherings such as sporting events. Although these new measures may increase the time it takes for us to get into one of these areas, they do not change our ability to enjoy them.